Whether your child is interested in sports, science, gaming, the arts, or all of the above, you can find a school-break day camp that fits in Toronto. Start with our 10 Things To Ask When Choosing a Day Camp. Then take a look at camp options below and check out even more day camp listings online. No matter what your child’s interests, there’s a camp out there! Kids can explore their creativity in so many ways at camp, from movie-making to painting and sculpting, acting, music, dance, and even combine art and science. 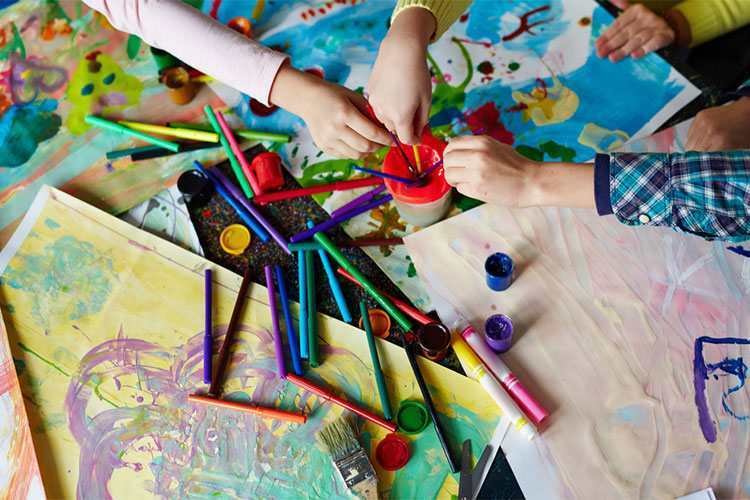 If your child is a visual artist, you might consider a camp that specializes in painting, sculpting, and drawing, and even specific themed camps for mask-making, filmmaking, cartooning, and more. There are drama, dance, and even comedy camps for kids in the city. Get your kids giggling and creating with camps that improve self-confidence and stage presence, and keep their brains active without them realizing it, with improv and comedy games. >>Find more Arts camps for kids in Toronto. Whether it’s basketball, soccer, gymnastics, or even aerial acrobatics that gets your child going, you can find a camp for it. Multi-sport programs allow kids to explore multiple activities. You might go with a camp that teaches circus and trampoline skills, where kids learn twists and flips and bounce to their heart’s content. If your child is a specialist, you could go with a tennis camp or another camp that hones in on a specific sport. Can’t decide which sport to focus on? You don’t have to. Some multi-sport camps combine many different sports each day, some with “down time” doing crafts and music or other types of play. Some sports camps are focused on skills-building in two or three sports. >>Find more Sports camps for kids in Toronto. An educational camp during a break from school? You bet! These camps are far removed from sitting in a classroom and are anything but boring. Open up new possibilities for your child with these exciting progams that clue kids in to the most fun and interesting aspects of science, math, technology, and the natural world. This isn’t classroom science! 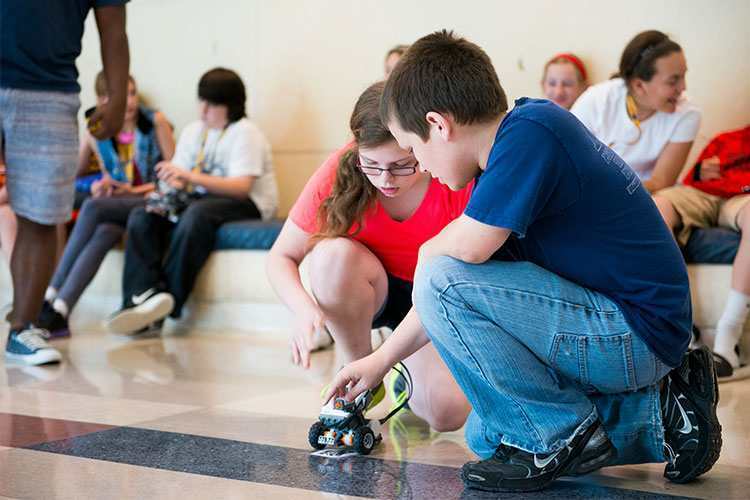 At science camps, kids construct rockets and robots, learn how to use spy equipment and forensic tools from crime scene labs or make paper, build geodesic domes, and learn about roller-coaster physics. Year-round nature camps teach kids about ecology and their environment through snowshoeing (weather-permitting), forest exploration and orienteering, and by tracking animals and discovering edible plants, along with hikes and outdoor play. >>Find more specialty camps for kids in Toronto. De-stress with a yoga camp or a girls’ spa camp, try woodworking or 3D printing, or learn to clown around, juggle, do acrobatics, and walk on stilts at circus camp! There are no end to the possibilities for camps, whether for the mind, body, or both!